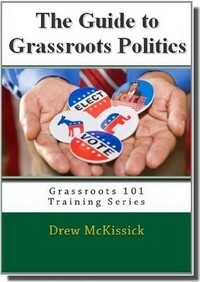 Grassroots organizing is no different than pretty much anything else in life. If you’re serious about doing anything, you need to make sure you have the right tools to get the job done. 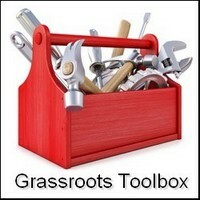 Here’s a handy list of five of the most basic tools you should have at your disposal if you’re going to try and build a grassroots organization at the precinct level that can truly have an impact on the things you care about. It’s hard to identify and organize if you don’t know who the registered voters are, (or aren’t), and in order to do that you need a recent copy of the voter registration list for your precinct (or whichever precinct you’re working in). You can get this from your local election (or voter registration) board. Just like in sales, you make your job of finding the people you’re looking for easier if you have a “warm” list of prospects. Conservative issue petitions, surveys or membership lists from conservative churches make great “prospect” list for potential conservative activists and voters. They will make it easier for you to identify registered (and unregistered) conservatives by cross-referencing them with voter registration lists. The result is that you know who lives in which precincts, and who is registered to vote and you could possibly approach about getting involved in your efforts. You also find out who isn’t registered, so you can get them registered in the future. Call your local voter registration office and get copies of your state’s voter registration form, (you may even be able to download it online, depending on where you live). You want enough copies for all of those unregistered conservatives you identified from your “prospect” lists. If people aren’t registered, they can’t vote. And if they don’t vote, they don’t count. Having a map makes it easier to get an idea of who is where and how to get to them. You should be able to get this from your local planning commission or voter registration office, (or if not, they will probably know where you can). Try to get one with street lines and names overlaid on it, to make it easier for you to use. Remember, precincts are the building blocks of all other election districts, so you want to make sure your efforts revolve around individual precincts. Identifying conservatives and organizing them is one thing, but it is also important to keep them informed. Set up a calendar to keep track of the dates of party primaries, general elections, special elections, school board, local council elections and meetings, as well as local political party meetings. Let your people know what’s going on and how they can get involved. This is just a basic list, but that’s the point. It’s “basic”. Don’t get too distracted by anything that would keep you from focusing on the basics until you get them done.